A driver's education course teaches prospective drivers about road rules, regulations, and road awareness. If you're a new teen driver, the Maine Department of the Secretary of State (SOS) Bureau of Motor Vehicles (BMV) requires you successfully complete a Driver's Ed course as part of the graduated driver license (GDL) program. Maine road signs and traffic laws. How to be a safe and responsible driver, including safety for motorcyclists, bicyclists, and pedestrians. The effects of alcohol and drugs on your driving ability and the consequences of drug/alcohol violations. Positive driving attitudes and behaviors. 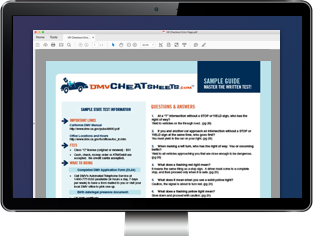 On this page you'll find information about your driver's education requirements, your options for completing a program, and the next steps you'll need to take to obtain your first driver's license in Maine. Before applying for your Maine learner's permit, you must first successfully complete a Driver's Ed course. Have turned 15 years old. For more information, see our Applying for a New License (Teen Drivers) in Maine page. If you have recently moved to Maine and would like to transfer your current out-of-state driver's license, you may need to show proof you've completed a Driver's Ed course if you're under 18 years old. For more information, call the Maine BMV at (207) 624-9000. In Maine, Driver's Ed can be taken at any driving school that has been approved by the Secretary of State. Your high school may also offer a driver's education course. Visit the Maine SOS website for a complete list of approved Driver’s Ed schools. Schedules and costs will vary depending on which course you choose. For more information, contact your course provider directly. A perfect complement to your Maine Driver's Ed course is preparing for the written permit exam with an online practice test. These industry-leading study helpers have been developed from information taken directly from the Maine driver handbook. It's like having the answers before you take the written test! After Maine Driver's Ed – What's Next? Once you complete your Maine Driver's Ed course, you will need to complete a written knowledge test and vision test at your local Maine BMV office to get your learner's permit. You must be at least 15 years old. Usually your Driver's Ed program instructor will have all the appropriate forms processed with the ME BMV for you, and all you have to do is wait for your learner's permit to arrive in the mail. If your instructor doesn't do this for you, you must apply for your learner's permit yourself. Once you have your instruction permit, you can begin practicing supervised driving before moving on to the next phase of the GDL process.